Nottingham Forest vs Bristol City predictions ahead of this Championship clash on Saturday. The hosts start life under Martin O’Neill, but will he pick up a win? Read on for our match preview and free betting tips. The Martin O’Neill era begins on Saturday when the club welcome Bristol City to the City Ground. The manager takes charge after an impressive playing career at Forest many years ago, but will he be the man to restore the club to the Premier League? Aitor Karanka leaves them in ninth place, and they need to pick up form if they’re to push for a play-off spot. However, the new boss managed to tire out supporters of the Irish National side with his dour football, and they only play 10 times a year. How will that basic style fare in the Championship? 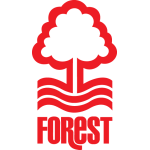 Forest certainly needed a change, after drifting away from the top six in recent weeks. They are six points shy of Derby, following a 2-0 loss to Reading last time out. It’s now three defeats in four for Forest, with their only success coming against leaders Leeds United. The potential is clearly there, and they’ve spent money in their push for the top flight. However, the choice of manager is an odd one, and it’s hardly the kind of move which will gee up a struggling dressing room. Meanwhile, Bristol City are on the up. Victory over Bolton last time out put them in seventh, two points shy of the play-offs and two clear of Nottingham Forest. They have hit form at the perfect time to race into contention for a place in the top six, but can they maintain that in a tricky trip? They come into Saturday’s match on the back of a four-game winning run, while they have a winnable Fourth Round FA Cup tie coming up against Bolton. It’s a great time for the Robins, but will that spoil O’Neill’s homecoming? Forest have conceded twice in four of their last five matches, and they’ve made a big change days before this game. It’s going to take time to solve their issues, while Bristol City come here on a roll. Not only that, but the Robins have a fantastic record in head to head meetings between these two. Nottingham Forest have won once in their last eight league meetings with Bristol City (W1 D2 L5) – the last two games have ended as draws. 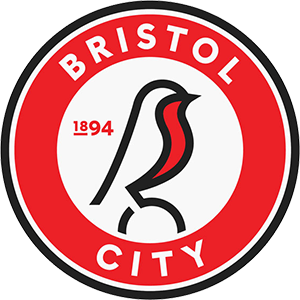 Bristol City come here on a 10 game unbeaten run in all competitions, while Forest have failed to win over half of their home matches this season. They’ve lost to nil in two of the last three, while overall they have one win in eight. We see the Robins adding to their great record against Forest with a result here, so we’re backing the visitors on the Double Chance market. Nottingham Forest manager Martin O’Neill is set to take charge of a second tier match for the first time since May 1996 – a 2-1 play-off final win for Leicester City against Crystal Palace; Matthew Cash, who started Forest’s last match, wasn’t born when that game was played. Bristol City have won their last four matches in all competitions – they haven’t won five in a row since December 2017, with one of those wins coming against Nottingham Forest. Nottingham Forest have won just one of their last eight matches in all competitions (D2 L5), a 4-2 win over Leeds on New Year’s Day. Four of Bristol City’s last six Championship goals have been headers – only Leeds (12) and Aston Villa (19) have scored more headers than the Robins (11) this season.